If you have an R50 MINI Cooper NON S this is the exhaust for you. With it's 2.25" piping, sleek Oval-Cansister and 3" Slash-Cut tip all developed within the desires of the NorthAmericanMotoring community, this exhaust has a nice low and deep tone. 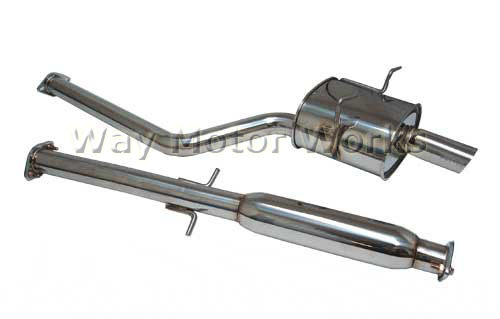 With very little interior resonance, this exhaust maintains the elegance of the BMW while on the outside it makes itself known as the sporty car that it truly is. Will need to modify to fit R52 Cabrio, or space out braces to fit. Great sound! Its a little on the loud side, but I'm already getting used to it. Install went smooth, even with an R52 as long as you lower the bracing. Very good exhaust choice.